Professor Stansislaw Penczek of the Polish Academy of Sciences wins prize and endowment of $2,500 for work in polymerization kinetics and mechanisms. Professor Stanislaw Penczek receives the first annual Menachem Lewin award. 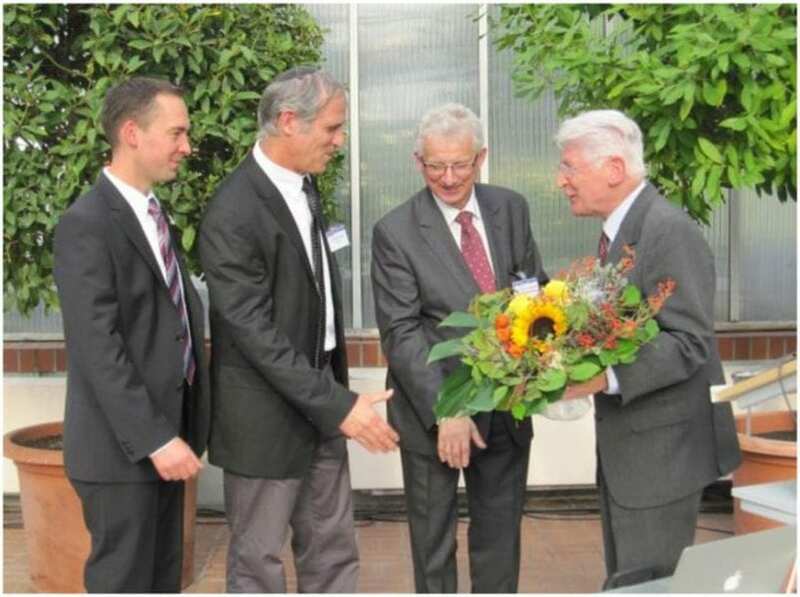 The first Menachem Lewin lifetime achievement award has been presented at the 12th Polymers for Advanced Technologies conference, held in Berlin on the 29th of September to the 2nd of October 2013. The award, intended to be presented every two years to commemorate the founding of the PAT journal and conferences, and which comes with an endowment of $2,500 donated by PAT journal (and, full disclosure, MaterialsViews) publisher John Wiley & Sons, was presented to Professor Stansislaw Penczek of the Polish Academy of Sciences, for “his outstanding achievements in polymer science, and in particular for his research into polymerization kinetics and mechanisms”. The award was presented by Professort Stanislaw Slomkowski, head of the department of polymer engineering at the same institute. Dr. Hanying Li receives the PAT Young Talent Award for 2013. Another prize presented for the first time at the conference was the Young Talent Award, intended to promote six promising junior scientists who have demonstrated excellence in their academic achievements. Of the six nominees – Valeria Chiono, LaShandra Korley, Hanying Li, Jaroslav Mosnacek, Axel T. Neffe, and Avi Schroeder, the winner of the award was Hanying Li from Zhejiang University in Hangzhou, China, for his research on synthetic calcite crystals in agarose gel.